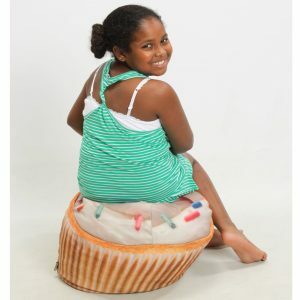 This colorful bean bag is shaped like a cupcake with a cupcake design cover and is definitely a choice for those looking for a certain style. Made with polyester cover which has been digitally printed for a realistic cupcake look, this product is very popular. 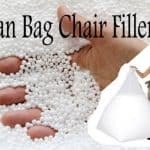 It is far looser than the other products, with plenty of room for the beans to move around, so you will sink into this beanbag. It is 35 inches round and weighs about five pounds so is easy to move and transport. The cover can’t be washed but you can gently sponge stains to remove them. This is sold as an adult sized beanbags, and is as large as standard beanbags. And a special Junior version with a much smaller size. The lightweight design is very popular and it is easy to move. It seems to be durable and keep its shape over time. 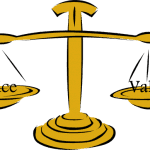 This product cannot be used outside, and is relatively expensively priced for the market. 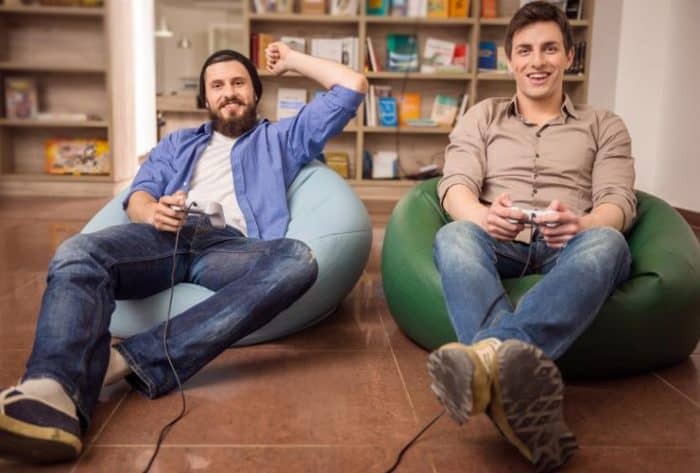 However, the bean bag is described as fun, and the style is extremely unusual and exciting. People are prepared to spend the extra money on a product that brightens up their house, is easy to move and looks great. If you value style over substance, this is the bean bag for you! This bean bag received an average of 4.2 stars out of 5 on amazon. People loved the style and design of the bean bag, found it comfortable and easy to use and move. The loose filling allowed people to shape it very easily into the most comfortable position. And this one we highly recommend for your children also as this has a special Children Version named Cupcake Junior.